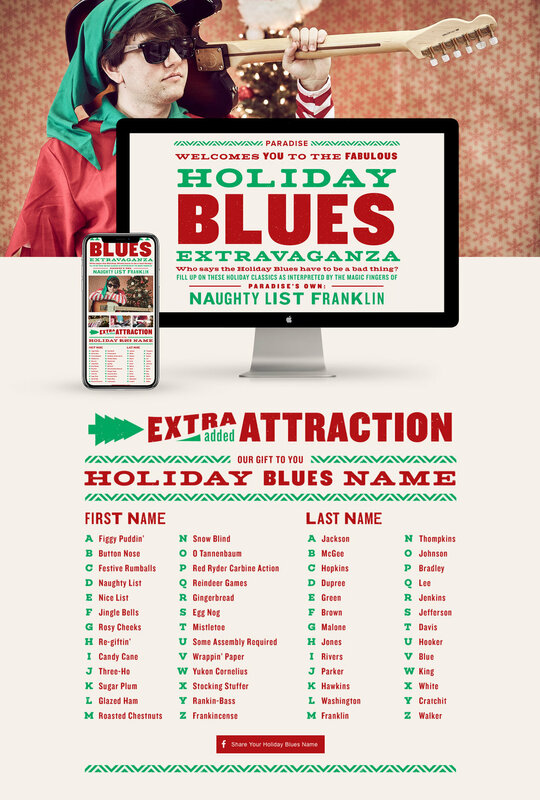 We created Holiday campaign for Paradise Advertising, encouraging people to embrace the holiday blues. This is what happens when your boss asks to dress up as an elf and play Christmas songs on guitar. I agreed to it because it sounded fun and I thought it would turn out pretty funny. 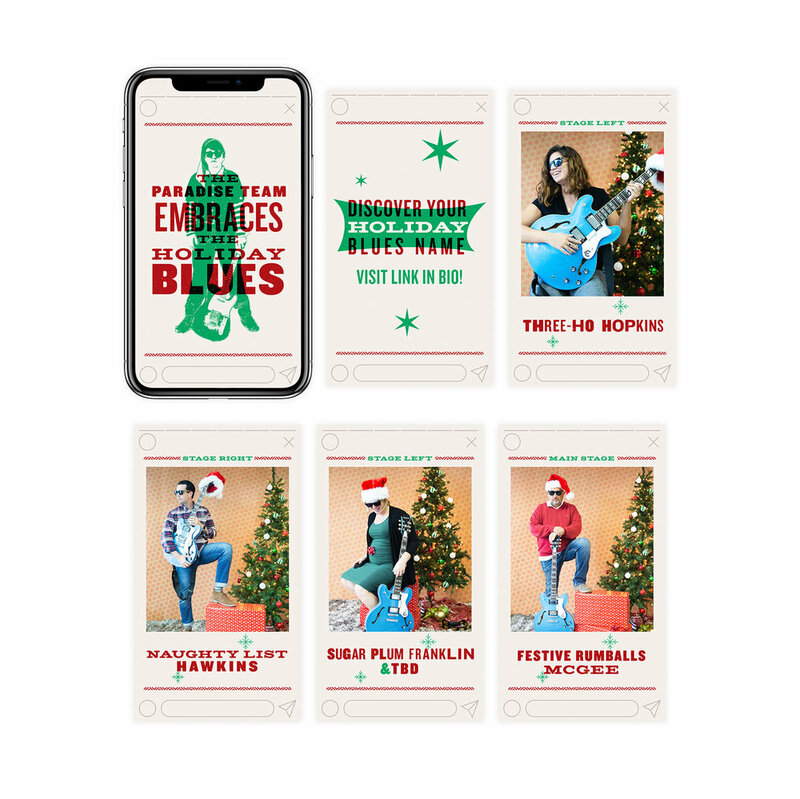 Not only did I design all the collateral on this one, but I created bluesy instrumental arrangements of four holiday classics and played the songs live in front of a camera; a new experience for me as someone who is used to working behind the scenes.